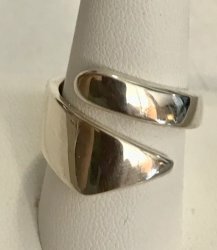 Sterling silver swirl band ring. 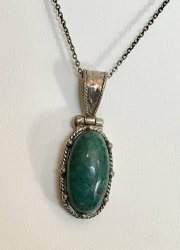 Sold new for $47. 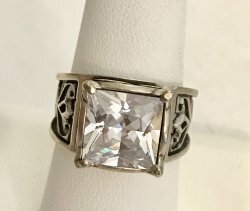 Sterling silver Cubic Zirconia ring. Sold new for $70. 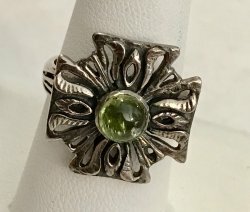 Sterling silver Sterling silver Peridot ring. 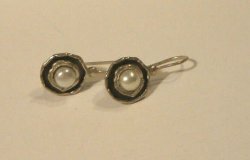 Pretty and sophisticated, these 1 inch rough and sporty silver and pearl closed clasp french wire earrings. 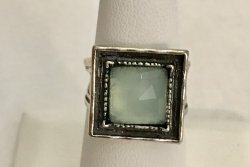 Sold new for $56. Never Worn. 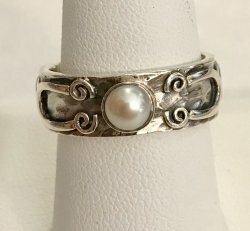 Sterling silver Dainty dust pink pearl band ring. In new condition. 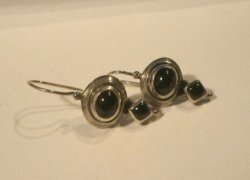 Gorgeous 1 3/4 inch long garnet earrings, locking french wires. 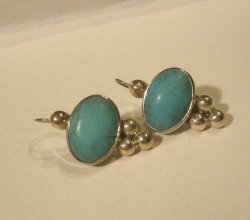 Gorgeous turquoise drops 1 inch french wire earrings. 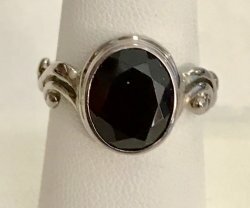 Sold new for $47. In new condition. 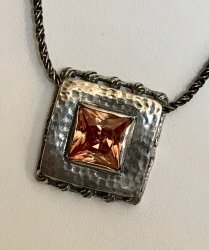 Stunning Champagne crystal, pendant is 1 inch long on a rope 18 inch chain.